Apex Line Marking - Rockdale. Proudly serving the City of Rockdale since 1994. How to find the right company for professional line marking? When it comes to marking lines on a sports field, car parking lot, or even some street somewhere, the lines have got to be straight. And it simply takes more than just painting on the ground to create the precisely straight line that is needed for the marking. It takes a lot of precise measuring and special equipment as well. 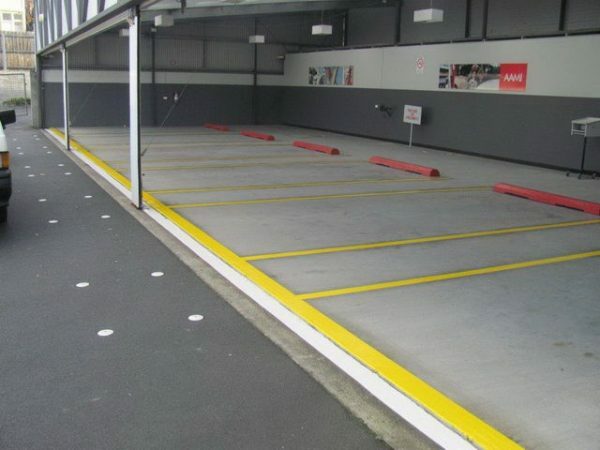 And for that, you would need to find a professional service in the city of Sydney that can offer line marking for you. 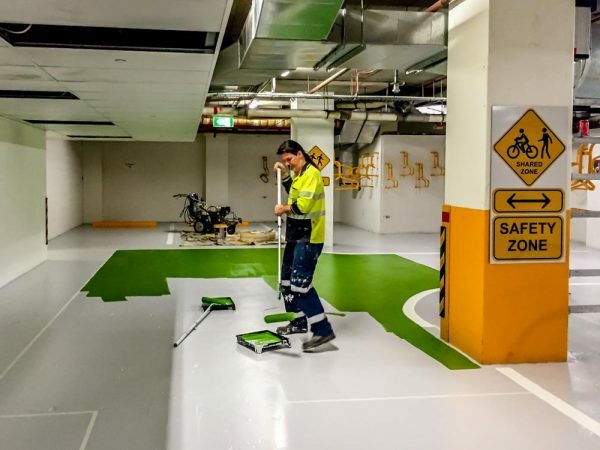 If you are on the search for a company or team that offers services for line marking Sydney, then this guide should be of big help to you. Follow these steps whenever you are searching for a line marking company. If you know other people that have hired line marking services, then you should give them a call. For example, you can contact the stores or developments closest to you and ask them if they can recommend a line marking company. If you do manage to get a name of a company from them, then that could be a good thing for you. Word of mouth is still an effective way to search for and narrow down your hunt for the right company to work with to help you fulfill your line marking needs. It may also be a good idea to use the internet as a way to do a bit more research on a particular line marking Sydney company. You could go online and search for any reviews about that particular company. There will often be one or two reviews that you can read if you ever need to get more information from them. You could also check out what the company has got on their website. You can see the projects and various properties where they have rendered their line marking services. This could give you a good idea of how good their services are. Finally, it would also be smart of you to give the line marking company a call. If you do this, then you can get an even more accurate picture of what they are like. For example, when you give them a call you should pay special attention to how well their customer representative treats you. A polite and helpful customer rep is often a good sign that their line marking staff is good too. With these steps, it should be much easier to find the right people to do professional line marking work. If you do manage to end up hiring the company that you have found, then you are sure to get the most precise lines when it comes to marking your parking lots, sports fields, even roads. So if you ever need to find some professional that can fulfill that kind of service, then you need to follow this whole guide. It would be so much easier to locate and hire the right people to come and work for you and mark those lines.